Academic Competition Teams – Students compete against other schools after learning (as a team) specific subjects for competition. 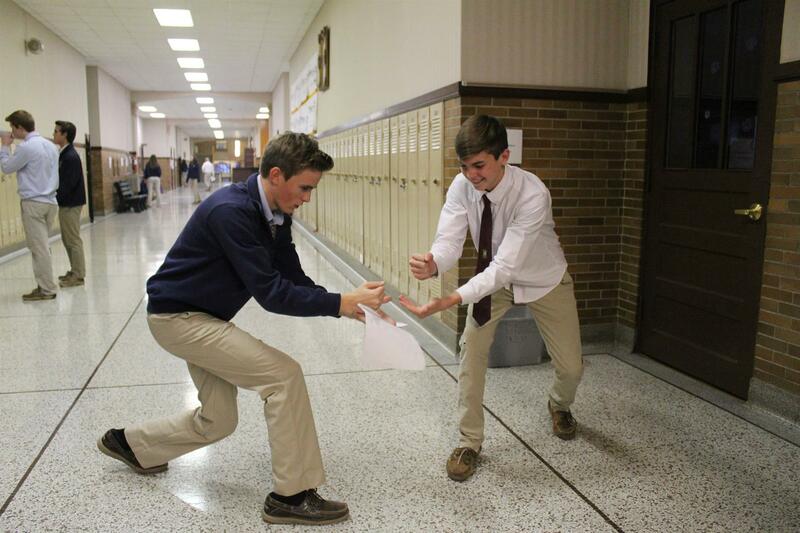 Academic Superbowl is open to Freshmen Competition is in the spring. Speech Team - Students experience the excitement of entertaining and the powerful impact words can have through categories such as poetry, prose, broadcasting, discussion, extemporaneous, impromptu, humorous and dramatic interpretation, original oratory, and more. Gain poise, confidence and worthwhile experience in becoming an effective communicator - a skill that will help students excel in school, work, and life. Spellbowl – This is a group of students who compete in spelling academic competition. Students from all grade levels can try out. There is a minimum of ten students on this team. National Honor Society – The National Honor Society promotes recognition for those students who reflect outstanding accomplishments in the areas of scholarship, character, leadership, and service. An application and review process determines membership. Chess Club - Chess club is an opportunity to play chess in a fun and friendly atmosphere every Tuesday after school. If you don't know how to play, or don't believe yourself to be very good: no need to worry! Chess club accepts members of all knowledge and ability levels. Student Council – This membership includes the class officers, club officers, homeroom representatives and walk-on members. The Student Council coordinates a wide variety of projects, ranging from dances to pep assemblies to school and community service projects. This group enables students to use their leadership skills. Thespians – Here at RMHS we have a troupe of the International Thespian Society, which is a theatre honor society. In order for a student to be inducted, he or she must participate in 100 hours of work in various productions at RMHS. A student must work on a crew or have an acting role to be rewarded hours/points toward thespian membership..
Art Club - RMHS Art Club is an after-school club that meets monthly. It is open to all students and is a way for members to experience hands-on activities as well as doing art related service projects for the community. In addition, it allows members to explore more art in a relaxed atmosphere and designed for those who want more ART in their lives. Choirs – Is a class designed to offer students an opportunity to enjoy singing together while learning techniques of good vocal production. There are three major performances during the school year. Selected students may be asked to participate in Arpeggio and/or Concert Choir in vocal contests or community performances. Marching Band – includes participation in band camp and practices. This group will participate at all Reitz Memorial High School home football games, marching band competitions and parades. Concert Band – Students audition for seating to study and perform modern and standard concert literature. Performances include concerts, possible tours to surrounding areas and competition in the Indiana State School Music Association Concert Band Contest. Pep Band – provides entertainment at pep assemblies and all Reitz Memorial High School home basketball games. Jazz Band – is a volunteer ensemble that performs for special events and annually at the Indiana State School Music Association Jazz Band contest. Orchestra - String Orchestra is a class in which literature from various musical periods, and the fundamentals of harmony is studied. Performances in chamber ensembles as well as string orchestra in and outside of school are held. Tri-M Music Honor Society – an honorary society for those students involved in the music department activities. Yearbook – Yearbook is a production class for Juniors and Seniors who participate in the publication of the school’s annual yearbook, “The Review”. Staff members apply to the advisor to take the class. Cover to Cover – Cover to Cover book club is open to all students. The club meets once per month and chooses two books to read. Students can read one or both books. Every December the club holds a book fair. All proceeds go to buying new books for the media center. Cover to Cover is accepted towards National Merit Society. The Reitz Memorial High School International Club was revived in the fall of 2015. It is an organization committed to providing students with opportunities to learn about different cultures which make our world so exciting and unique. There are a variety of activities throughout the year and we are always open to new ideas from members. Some of the activities include interacting with exchange students from different countries that attend Memorial High School or the University of Evansville, cultural presentations, learning some basic expressions from different languages, exploring cuisine at some of the international restaurants in Evansville, and so much more! 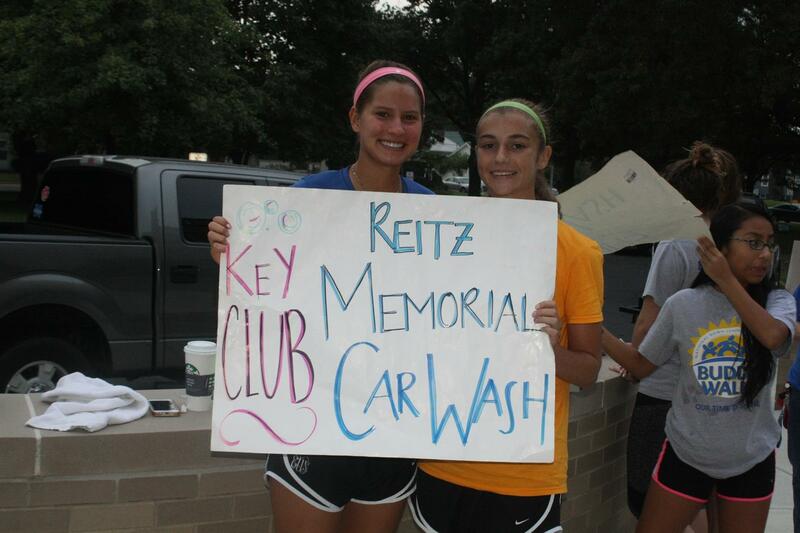 Key Club – This club is a service organization sponsored by Kiwanis International. Students in grades 9 through 12 are welcome to participate. 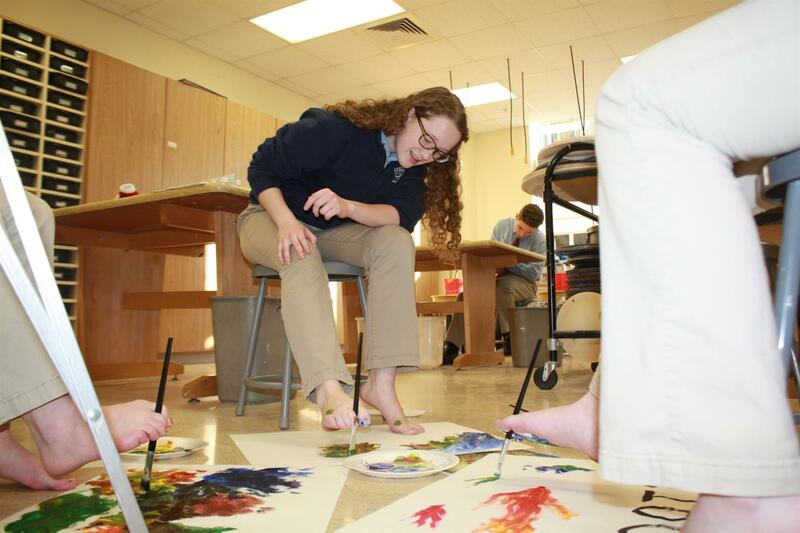 Service projects for the school, church and community are performed throughout the year. T.I.D.E. – (Tigers in Drug Education) This club provides students an opportunity to participate and plan activities that encourage a drug-free environment within their school and community. Teens for Life – Teens for Life encourages students to respect all forms of human life. We do this by going to the Right to Life March in Washington D.C., visiting nursing homes, raising money to help life choices stay open and spreading the word to end abortion. The PEERS Project – is sponsored by Catholic Charities of Evansville. Students serve as peer mentors giving presentations to younger peers about making health decisions. Juniors and Seniors are recommended through faculty and previous peer mentors. Youth First Club – the Youth First Club promotes living a healthy substance free lifestyle through the SMART Moves program. In SMART Moves students travel to feeder schools to help fourth graders resist the use of alcohol, tobacco and other drugs. 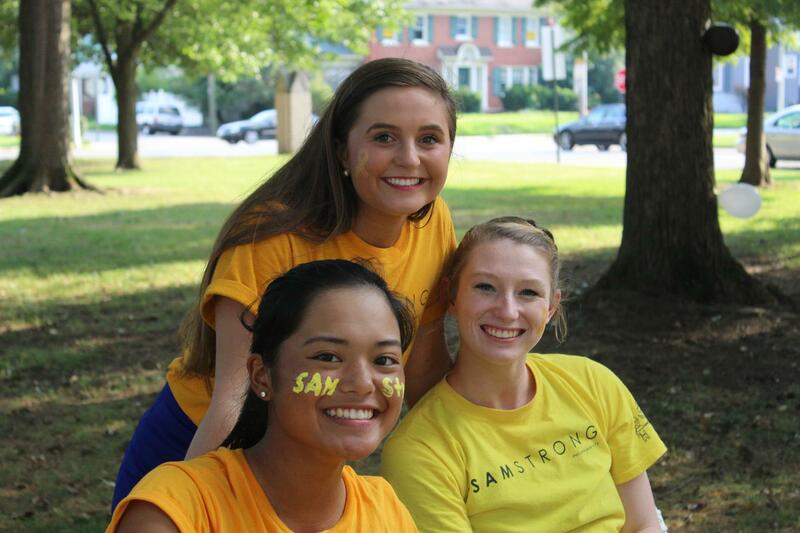 A panel of students also participates in Freshman Orientation activities. Tiger Ambassadors - The Tiger Ambassadors is an elite group of students who are selected to help distribute information and give direction when individuals or groups are in the building or conduct tours for students and their families interested in enrolling at Memorial. They may also be asked to represent Memorial at community functions where we wish to show the best that Memorial has to offer. Tiger Ambassadors are set apart by wearing the "Blue Blazer" with the Memorial crest. RMDA - RMDM, Reitz Memorial Dance Marathon, works in conjunction with IUDM to raise money for Riley Children's Hospital; the hospital offers services for kids suffering from diseases like cancer or diabetes as well as those recovering from injuries or in need of other specialized care. The hospital does so while holding any costs to the patient to a minimum. Our organization hosts fundraisers and solicits donations and sponsors to give to support this worthy cause. Our culminating event is our actual Dance Marathon; open to all MHS students and our 8th grader feeder school students, the night celebrates our success with games and dancing as well as provides students the chance to meet and hear the stories of some of the families impacted by Riley. Baseball Club – Students learn the fundamentals of baseball, participate in baseball program fundraisers and organize off-season workout, etc. This club is open to all students. Tiger Pride – (Formerly Pep Club) is a student organization promoting school spirit through various activities throughout the year.